The Côte d’Azur, better known as the French Riviera and its unofficial capital, Nice hug the southeast coastal corner of France. The picturesque Mediterranean destination has been drawing the who’s who of the celebrity and aristocratic class since the 18th century. Its well-heeled visitors flocked en massed to seaside resorts like Saint-Tropez, Beaulieu-sur-Mer, and high-rolling Monaco. Today, market strolling, sun worshipping, and yachting reign supreme in addition to annual events in the area like the Cannes film festival and Monaco’s annual Formula 1 Grand Prix. 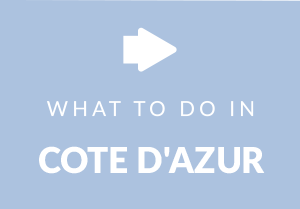 From markets to Monaco, there are innumerable ways to enjoy a stay in Côte d’Azur/Nice. Soak up bygone charm wandering the streets in Aix-en-Provence, hit the beach at Nice’s Promenade des Anglais, and hit the greens at one of more than 20 golf courses in the region. Other top sights include the Palais des Papes, Parc National des Calanques, and the Casino de Monte Carlo. Pack for possibilities, in addition to the activities you’ve planned, and always dress to impress even when most of the time you’ll be dressing casual. Pack more formal attire if your itinerary calls for it. With all the strolling and beach going you’ll want to pack nice, comfortable shoes and a dressier pair for hitting the town at night. Also make sure you have plenty of memory on your phone and digital camera for all the photos you’ll be snapping. Also, come prepared for sun with plenty of sunscreen, sunglasses, and a hat. 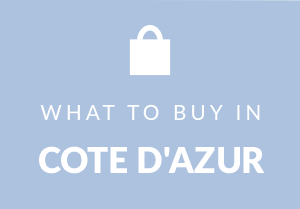 One of the best things to do when you’re visiting the Côte d’Azur and Nice is to scour their many local markets for unique artisanal goods. Pick up whatever catches your eye like local art, jewelry, antiques, and more. The region is especially known for its lavender production so pick it up whole or infused into everything from soap to honey. Forget the hassle of negotiating luggage at the airport. 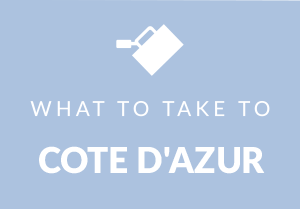 Ship your luggage seamlessly to and from Côte d’Azur/Nice with Luggage Free. When you’re on your way, just pack your luggage as you normally would and Luggage Free will pick it up from your home or office whenever you schedule a pick-up, delivering it to your hotel or place of lodging guaranteed. On your way home, the process is reversed and Luggage Free will pick up your luggage from your hotel and deliver it back to you safely.